LG recently announced that the firm will launch smart home products under its ThinQ sub-brand. The company proceeded to kick off this project new endeavor by launching a Google Assistant-powered speaker. Hot on the heels of its latest product launch, LG has now declared that its new line-up of smart TVs set to arrive in 2018 will also feature Google Assistant and Alexa baked into LG’s WebOS. According to a report, the new 4K smart TV models from LG which will be showcased at the upcoming CES 2018 event will have Google Assistant deeply integrated into their operating system, aside from a host of Alexa skills to further enhance the user experience. Support for virtual assistants will introduce users to a whole new way of interacting with their smart TVs and do a lot more than changing channels and surfing the web. Just to give you an idea of the conveniences brought by the virtual assistant duo, users will be able to control their smart TV’s viewing mode, schedule power on/off timings, search content via voice commands and much more. LG’s Magic Remote will serve as the input media, letting users utter the voice commands and get the task done by Google Assistant or Alexa. LG’s integration of the AI assistants is unique in one more way i.e. users won’t have to speak a hotword like ‘OK Google’ to activate the virtual assistant, as they just have to press a button on LG’s Magic Remote and say the voice command. 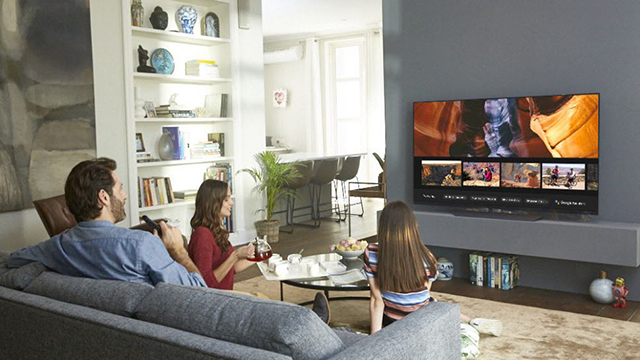 But that’s not all, as the Google Assistant onboard LG’s Smart TVs will also let users control connected smart home and streaming audio devices, including LG’s own ThinQ line of products. Dubbed ‘Intelligent Voice Control with Integrated Google Assistant’, the integration will also facilitate compatibility between LG’s smart TVs and Amazon’s Echo devices. LG’s endeavor is a major territorial change in Google Assistant’s journey as it marks the Google Assistant’s first expansion beyond the Android TV platform, and it remains to be seen how well it is received by users.